Since the early 1990s, Cuba’s development strategy has given place of pride to the tourism sector. After neglecting the tourism industry for three decades, Cuba has more recently built a massive tourism infrastructure, capable of accommodating a very large flow of tourists. Cuban “sun and sand” tourism tends to be highly seasonal so that tourism infrastructure is unevenly utilized during the year. During time periods of low tourist arrivals, there is severe underutilization of capacity, underemployment and loss of potential revenue flows. Provided the evolution of a political context that sanctioned it, diaspora tourism could be an important strategy to smooth out tourism demand throughout the year with attendant positive economic impacts. The Cuban diaspora could be targeted as a source of visitors during the time periods when the flow of foreign tourists ebbs, thereby raising the capacity utilization of infrastructure and maintaining year-around employment for tourism workers and steady revenue streams. Cubans living abroad returning to the island to visit relatives or as tourists for cultural or family reasons may be more flexible with respect to the time within the year when they travel to the island. The ability to travel to Cuba bringing a personal automobile (e.g., by reestablishing auto ferry services from two or three Florida locations or from Mexico and locations in Cuba) might also be an incentive to stimulate diaspora travel. In fact, even in the absence of a post-Castro political transition, Cuba is already taking advantage of an increasingly larger flow of diaspora visitors. To a great extent policymakers in Havana have played a relatively passive role in this development as events beyond their control are disproportionately contributing to the increasing number of Cuban-American visitors to the island. Policy prescriptions adopted by Cuba have not been inconsequential, however, in laying the ground for this development. Of particular note were late 1980s and 1990s Havana policy decisions. Laying the foundation for the increase in the number of Cuban born (and their descendants) visitors was the reversal of a long-standing policy to neglect the development of the country’s tourism sector, a policy pursued with renewed vigor since the early 1990s as the country had to adopt emergency measures to address a profound economic crisis following the Soviet Bloc collapse. Adoption of this policy was tacit recognition of the importance of tourism as a driver of economic growth and the benefit that would accrue to the country from the hosting of foreign and diaspora visitors. A set of policy decisions has resulted in massive emigration, thereby building a much larger base of potential native-born visitors. One of these produced the 1994 U.S.-Cuba Migration Accord. As a result, we have witnessed the greatest emigration outflow from Cuba to the United States since the revolutionary government assumed power in the island: as many Cubans entered the United States between 1994 and 2011 as during all previous years since 1959. This development was accompanied by the parallel adoption of procedures that eased conditions whereby Cuban nationals could emigrate, either temporarily or permanently, to other destination countries. Another related event was the increase in Cuban internationalist missions abroad. These foreign missions have unwittingly contributed to emigration by providing a steady and significant number of defectors. The combined effect of these recent emigration flows has greatly magnified the already considerable number of latent potential diaspora visitors already in established Cuban ethnic communities abroad, primarily in the United States but to a lesser extent in other countries as well. Recent estimates suggest that the number of U.S. residents of Cuban origin visiting the country has been booming under the more relaxed travel regulations implemented by President Obama’s administration since 2009. A recent news article cites informal estimates by economists and travel agents that Cuba in 2011 may receive as many as 400,000 such visitors,1 a number several-fold higher than indicated by official Cuban tourist statistics (discussed below), but consistent with the surge noted following the Obama administration’s policy change. Whether or not this level of visits is sustainable hinges on many factors, among them political developments in Washington. A lively debate is ongoing in the U.S. Congress on whether to maintain more open travel and monetary remittance policies regarding Cuba as a way to support positive change or to impose more restrictions arguing that they buttress an authoritarian regime facing considerable internal economic and political tensions. Of long standing, this debate is likely to linger and not be finally resolved until an economic (and perhaps political) transition in the island occurs. Once the transition takes place and U.S.-Cuba relations are reset, a fuller set of policy tools will be available to encourage the flow of ethnic tourism to Cuba. Cuba’s authorities have concentrated tourism investment and infrastructure development in eight geographic regions or “poles,” namely Ciudad la Habana and Varadero, two traditional tourism-attracting regions, plus six non-traditional regions: (1) Jardines del Rey, consisting of keys along the northern central coast of the island; (2) Playa Santa Lucía and keys along the northern coast of Camagüey province; (3) the northern coast of Holguín province; (4) Santiago de Cuba; (5) the central southern coast, including the cities of Trinidad and Cienfuegos; and (6) the Canarreos archipelago, including Cayo Largo del Sur.6 Table 2 shows official Cuban statistics on the number of tourism establishments, rooms and lodging capacity in the so-called tourism poles for the period 2005–2010. The most significant tourism poles in terms of hotel rooms and lodging capacity in 2010 were Varadero (36% of hotel rooms and 32% of lodging capacity) and Ciudad de la Habana (23% and 24%, respectively). Comparing data in Tables 1 and 2 obtains that 56% of tourism lodging establishments, 87% of rooms and 94% of lodging capacity in 2010 were located in tourism poles. 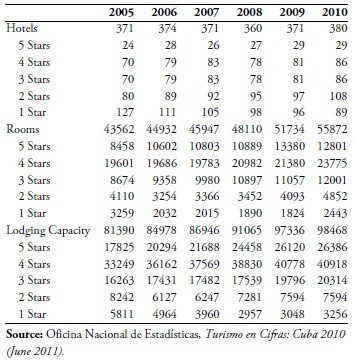 Table 3 shows the distribution of Cuban hotels, rooms, and lodging capacity in 2005–2010 following the “stars” system widely used in the tourism industry to rate the quality of lodging facilities. It is evident from the data that Cuba upgraded the quality of its tourism offerings over the period, with the number of 5–, 4–, and 3–stars hotels, rooms, and lodging capacity rising, at the same time that 2– and 1–star facilities declined. The majority of 5– and 4–stars hotels in the island are located in beach areas and are aimed at “sun and sand” tourists. Cuba’s strategy of upgrading the quality of its tourism offerings and locating them in “sun and sand” locations seems to have had some success. Although overall occupancy rates of hotel rooms during 2005– 2010 has remained below 64% and actually has been declining in recent years (from nearly 64% in 2005 to 58% in 2010), the occupancy rate of 5– and 4– stars hotels consistently exceeded that of the lower quality hotel offerings (see Table 4). International tourist arrivals grew by leaps and bounds since the early 1990s. For most years since the early 1990s, tourist arrivals grew at double-digit rates; Cuba achieved 1 million foreign visitors in 1996 and was poised to attract 2 million visitors by 2001. However, the global economic slowdown of 2001, compounded by the collapse of international tourism in the aftermath of the September 11, 2001, terrorist attacks on the United States, put this goal out of reach. The 2 million tourist level mark was first reached in 2004. Although growth has slowed down, tourist arrivals have continued to grow, exceeding 2.5 million in 2010. In 2010, Canada was far away the largest source of tourists traveling to Cuba, with nearly 950,000 Canadians traveling to the island in that year, and accounting for 37% of visitors (Table 5). Rounding up the top-five emitters of tourists to Cuba in 2010 were the United Kingdom, Italy, Spain, and Germany; these five countries together accounted for nearly 57% of the total number of tourist arrivals in that year. The top 10 sources of tourists to Cuba accounted for nearly 70% of all tourists received in 2010. Despite U.S. Government travel restrictions, the United States has been consistently one of the top ten sources of tourism to the island. In 2010, visitors from the United States represented 2.5% of total tourists. These figures most likely underestimate the number of U.S.-based tourists traveling to Cuba, as it is well established that many U.S.-based individuals who would not be able to travel to the island legally do so through third countries and—with the connivance of the Cuban Government—do not have their passports stamped by Cuban immigration officials in order to avoid U.S. sanctions. In addition, there is also a flow of persons of Cuban heritage who reside in the United States who travel to the island legally for family visits; this flow appears not to be included in Cuban tourism statistics (more on this below). 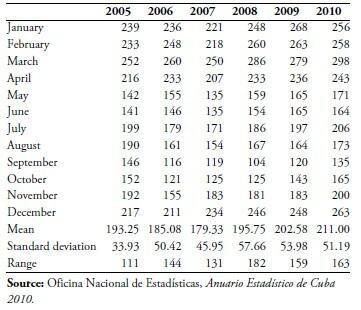 Table 6 shows monthly Cuban tourist arrival statistics for 2005–2010; also included in the table are the calculated mean number of visitors each year, the standard deviation of the monthly data and the range. 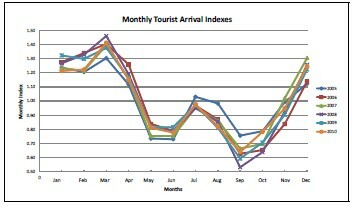 Figure 2 plots monthly arrivals for each of the years on the basis of a seasonality index, with the annual mean =100. We next discuss some potential methodological approaches that a future Cuban government and the private sector may utilize to maximize the benefits of increasing number of co-national visitors in smoothing out seasonal fluctuations, maximizing visitor expenditures and providing further employment opportunities in the tourism industry. In doing so, we examine methodological toolkits formulated to assist mature tourist markets in developed countries maximize tourist visits and smooth out seasonality effects. Principal attention is assigned to the issue of market segmentation and how it can be used to attract a larger, wider and more diversified visitor profile by taking advantage of market niches, consumer preferences, differentiated pricing, and existing co-ethnic organizations abroad. Bolstering diaspora visits to encourage economic growth and employment is becoming an increasingly important issue in the international economic development agenda. Many international development agencies are focusing attention on the issue although thus far they have not gone much beyond the identification of broad themes and the discussion of some specific country experiences.16 We begin with an exposition of a potential implementation vehicle capable of enhancing the economic growth and employment creation potential of diaspora tourism through reliance on market segmentation methods17 when applied in collaboration with formal ethnic organizations embedded within the Cuban diaspora population. The paper concludes with a discussion of how these policy interventions could be applied in the Cuban case. Promoting diaspora tourism would likely require establishment of formal institutional mechanisms to enhance the country’s appeal to potential visitors from its native-born population and their descendants residing overseas. As in other major tourist destination countries, the backbone for such efforts should be located within Cuba’s own Ministry of Tourism (MINTUR). Encouraging diaspora tourism is not among MINTUR’s current focus, in part due to political tensions with the United States—home to the vast majority of the émigré community—and the relatively small, although growing, size of the diaspora in other countries. MINTUR’s current mandates include promoting the national tourism brand in overseas markets, training tourism staff, supporting development of the tourist infrastructure and other tasks, such as managing state-owned tourist facilities, responsibilities not generally assumed by state entities in market economies. As it expands its focus to appeal to diaspora tourists, MINTUR could well model its approach on that developed by Israel, a country known for its sophisticated approach in maximizing the benefits accruing from promoting closer social and economic ties with its diaspora. As a leading driver of the tourist industry, the Israeli Ministry of Tourism operates not only in Israel but also in overseas locations. Its Marketing Department identifies and cultivates new market segments and promotes their growth, while it consolidates existing ones, through close working relationships with leading industry partners abroad such as ethnic and religious organizations, travel agencies and airlines. These efforts are supported by a Tourism Promotion Department tasked with public relations and advertising functions to encourage travelers to select Israel as a travel destination. The Israeli Ministry of Tourism’s Tourism Services Department is responsible for publicizing, organizing and coordinating “events throughout the year and throughout the country … aimed at making the tourist’s stay … more pleasant,” 18 and obviously to attract visitors regardless of season. The essential notion behind tourist market segmentation is a focus on the visitor rather than the destination. The implicit assumption is that the universe of potential visitors consists of persons with different motivations and interests. Thus, all potential tourists are not the same or would want to travel for the same reason or to engage in the same type of activity. The idea is to break the overall universe of potential tourists into segments of like-minded consumers and offer each segment the amenities it demands. Market segmentation techniques in the tourism industry have traditionally relied on geographic, demographic, psychographic, and behavioral markers. The first two are self explanatory, while the third considers the prospective tourists’ personality or lifestyle, whereas the fourth focuses on how tourists perceive particular destinations in terms of expectations, consumption patterns, trends and degree of loyalty.19 Many refinements are possible by combining various consumer traits. With multivariate segmentation, for example, it is possible to cluster potential travelers into groups along selected dimensions. It must be determined that a group is “effective and distinctive,”20 that is, that in fact it identifies a homogeneous group of potential travelers. In addition, the group’s size should be measurable, it must be established that the target segment could be reached with a marketing message, and resources must be available to the marketing organization (e.g., the government and/or private institution in charge of tourism promotion) to effectively and profitability target the identified market opportunity. Further refinements across identified attributes include the isolation of particular behavioral and economic characteristics that could be utilized to promote repeat, seasonal, or high expenditure tourism. These tools could permit tourism promotion institutions to develop strategies to more effectively encourage diaspora tourism in support of the further development of the national tourism industry. The most obvious segmentation dimension for the Cuban diaspora would appear to be migrant period of arrival. This dimension would allow targeting of the most desirable Cuban-American tourists in terms of capacity to spend, positively affecting the level of revenue and profitability. The highest concentration of high income Cuban-Americans, either by birth or parentage, is within the first migration waves of the late 1950s, 1960s and now including up to the early 1980s. Well established in the United States and with above average incomes, many have the financial wherewithal to afford the priciest 4– and 5–star hotels, for example through weekend package deals from Miami designed to correspond with both ends of the tourist season. Other off-season offers for longer periods could be offered to these cohorts of Cuban- Americans to visit the island. Their children could be similarly enticed simply for nostalgic reasons. Differentiated marketing approaches could also be used for more recent migrants, as they have far closer family attachments and thus a stronger interest in visiting Cuba often but may not have the resources to spend as freely as higher income Cuban-Americans. Cuba could market to the diaspora travel and tourism to the island related to cultural, religious, and historical events.21 While it may be appropriate to promote this type of travel through broad-based marketing campaigns as the themes (e.g., national religious and patriotic holidays) may appeal to all diaspora segments, it may be more effective to do so for some events with specific diaspora market segments. Examples of the latter are the carnavales (traditionally held at different times in different towns) and patron saint day celebrations (also specific to towns). In addition to carnavales, other cultural events that could attract diaspora travel and tourism include music and dance festivals, plastic arts exhibits, book fairs, literary contests, and sports competitions. Cultural or religious festivals could be organized at the municipal level to encourage emigrant tourism building on the network already established by Municipios de Cuba en el Exilio,22 an organization based in Miami that coalesces individual associations of residents and friends of each of the 126 municipalities that existed in pre-revolutionary Cuba. This organization brings together residents and friends of the various Cuban geographic regions but additionally its structure provides promotional vehicles to augment tourist flows and pinpoint their timing. Because cultural, religious, and historical events marketed to diaspora tourists would be held throughout the island rather than in La Habana or Varadero—the two locations most frequently visited by sun and sand-oriented foreign tourists—they would have the added advantage of promoting tourism in the interior of the nation. Aside from the regional concerns and their focus on religious, community, and patriotic activities, the municipal association includes sections that focus on women’s, youth, labor and social assistance issues. These sections are comprised of individuals who could be receptive to differentiated marketing approaches based on their specific interests. Professional associations based abroad that deal exclusively or importantly with the study of Cuba and Latin America could be encouraged, particularly by their members in the diaspora community, to hold meetings and conventions in the island. Cuba has considerable experience in holding international meetings and conventions and an infrastructure in place that could support convention-related tourism, including a significant number of high- and goodquality hotels with the capacity to accommodate solely or jointly the simultaneous presence of convention visitors. In addition, Cuba has numerous venues that can accommodate conventions.23 One of the venues, the Palacio de Convenciones (Palco) in La Habana, built in the mid-1980s, features an auditorium capable of seating 1,500 persons and a dozen meeting rooms with capacity from 25 to 400 persons, translation, word processing, and reproduction services, and a four-star hotel.24 Professional associations that hold their annual meetings during the low-occupancy periods for Cuban tourism facilities would be particularly good targets in order to smooth seasonal travel patterns. Particularly attractive tourism targets would be diaspora senior citizens and retirees who have a great deal of time flexibility in arranging their schedules. An attractively- priced vacation package that might include the option of renting additional rooms for relatives in the island to also enjoy the facilities25 would induce members of the diaspora travelling to the island to use tourism facilities rather than to crowd the overtaxed private housing stock and domestic transportation infrastructure. Such visits also could be sponsored in conjunction with municipal associations as part of the social and entertainment services they are organized to provide and as part of a strategy to guarantee the financial viability of these not-for-profit organizations. Elderly tourists consider their medical needs when making tourism decisions since many suffer from chronic conditions and want to be reassured that they will have easy access to adequate health care facilities that could address their medical needs at reasonable cost. Cuba, of course, has a large medical services infrastructure and has developed some tourism facilities that cater to health tourism, but diaspora pensioners may not have the financial capacity to cover expensive medical interventions. A policy initiative that the diaspora might undertake is to lobby within their settlement countries to have their health care plans cover potential services they might demand while touristing in the island. For example, the Cuban-American community could lobby the U.S. Congress to grant a waiver for Medicare services to be provided in Cuba, perhaps through existing South Florida-based health maintenance organizations.26 This would be an incentive for the more than 220,000 Cuban-American senior citizens—the majority of whom are Medicare and Social Security recipients—to visit Cuba as tourists. Youth tourism is another niche opportunity with significant counter-seasonal advantage. Most schools in the United States end their regular school year in the May-June time frame, a time when demand for Cuban tourism services is low. Higher education institutions have shorter school calendars and long breaks at certain times of the year. Municipal associations could also help promote youth tourism. A potentially significant option would be the eventual establishment of partner associations between Cuban municipalities (and their related U.S.-based associations) and U.S. cities and counties.27 Through their joint efforts, it might be possible to promote educational cultural visits that may not only include children and youth of Cuban parentage but also their American classmates. Irrespective of looming and unpredictable political developments, it is apparent that the surge in Cuban emigration since the mid-1990s—as well as policy decisions by the Havana government regarding the ability of Cuban citizens to emigrate permanently or visit abroad for brief periods of time and open the country to the tourist trade—is having and will continue to change the physiognomy of the country’s relationship with its diaspora. This is quite evident in the major increase in number of return visits recorded since the Obama administration relaxed U.S. travel regulations for Cuban-Americans to visit the island. Geographical proximity, the growing Cuban- American population, and eventual change in Cuba portend an ever increasing two-way flow. Economic benefits to the island from ethnic tourism will remain far below their optimal level as long as relations between the two countries remain strained. Were this situation to change, as noted in this paper, numerous levers will be at the disposal of policy makers in Cuba not only to increase the diaspora tourist flow but to manage its timing in such a manner that it contributes to smoothing out the seasonality that characterizes the island’s tourism. 1. Victoria Burnett, “An airlift, family by family, bolster Cuba’s economy,” The New York Times (June 11, 2011). 3. MINTUR was created by Decree-Law 147 of April 21, 1994, which modified central state administrative bodies. Its purpose is to provide policy direction, regulate and control the tourism sector as well as business activities within it. MINTUR develops policies to promote the sector and ensure their implementation by the entities that directly operate in the sector. Its strategic objectives (set out in 2004) included: (1) designing and developing more efficient marketing of the tourism product; (2) Increasing and diversifying tourism options, making them more competitive; (3) remodeling and increasing room capacity; (4) increasing the tourism system’s economic efficiency; (5) bringing computer and communications systems to the most advanced levels; (5) incorporating more foreign capital into the sector; and (7) broadening the perspectives of tourism development through the year 2010, as well as adjusting the organizational structures to the pace of that development. See http://www.cubaminrex.cu/english/LookCuba/Articles/Economy/Informations/MinTourism. html. 4. http://www.hosteltur.com/69663_sol-melia-abrira-su-hotel-numero-25–cuba.html. Interestingly, the corporate webpage for Sol Meliá, www. solmelia.com, does not provide information on Cuban hotels managed by the Spanish hospitality chain. 5. 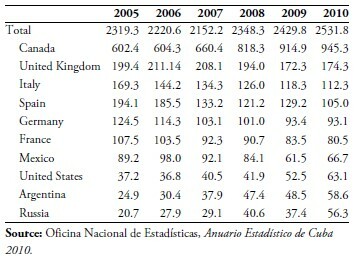 This share (for 2003) is cited in Rogelio Quintana, Manuel Figuerola, Mariano Chirivelia, Damarys Lima, Miguel Alejandro Figueras, and Alfredo García, Efectos y futuro del turismo en la economía cubana (La Habana: Instituto Nacional de Investigaciones Económicas, 2004), p. 144. 6. Quintana, et al., Efectos y futuro del turismo en la economía cubana, p. 141. 7. Quintana et al., Efectos y futuro del turismo en la economía cubana, p. 145. 9. See also Pietro Balestra, “Seasonal Variation,” The New Palgrave: A Dictionary of Economics, edited by John Eatwell, Murray Milgate and Peter Newman (London: Palgrave-Macmillan, 2000), vol. 4, pp. 279–280. 10. Two useful literature surveys are Nicole Koenig and Eberhard F. Bischoff, Seasonality Research: The State of the Art, Swansea European Business Management School, LBMS Working Paper EBMS/2004/3 (2004) and Christine Lee, Sue Bergin-Seers, Graeme Holloway, Barry O’Mahony and Adela McMurray, Seasonality in the Tourism Industry: Impacts and Strategies (Australia: Sustainable Tourism Cooperative Research Centre, 2004). 11. 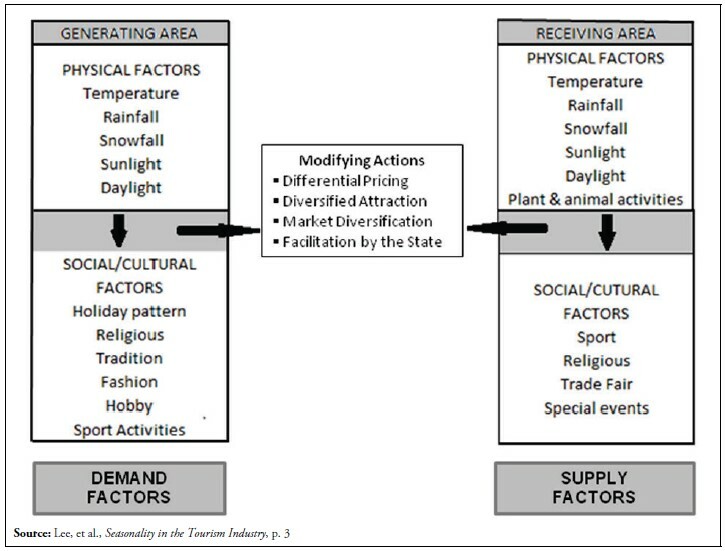 The preceding discussion draws from Richard Butler, “Seasonality in Tourism: Issues and Implications,” The Tourist Review 53:3 (1998) SooCheong Jang, “Mitigating Tourism Seasonality: A Quantitative Approach,” Annals of Tourism Research 31:4 (2004). 12. Lee, et al., Seasonality in the Tourism Industry, pp. 2–3. 13. 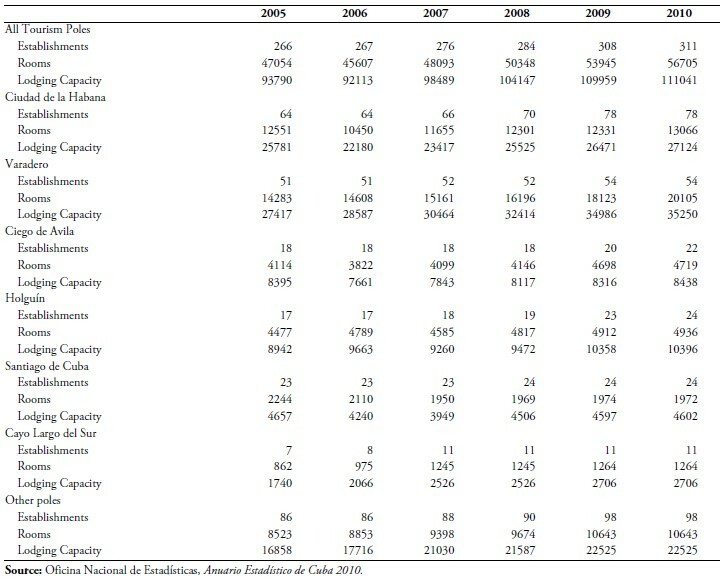 Orlando Gutiérrez Castillo and Nélida Gancedo Gaspar, “Una década de desarrollo del turismo en Cuba (1990–2000),” Economía y Desarrollo 2:131 (July-December 2002), p. 81. 14. Quintana et al., Efectos y futuro del turismo en la economía cubana, p. 122. 15. This very rough estimate is based on a stock of 64,930 hotel rooms in 2010 (see Table 1) and an estimated cost of development of a new hotel room in the four- and five-star category of $80,000 used by MINTUR in the late 1990s. See Nicolás Crespo and Santos Negrón Díaz, “Cuban Tourism in 2007: Economic Impact,” Cuba in Transition—Volume 7 (Washington: Association for the Study of the Cuban Economy, 1997), p. 160. Crespo and Negrón Díaz state that this cost estimate is a moderate figure by international standards, particularly in resort locations. Elsewhere, Crespo has also given the asset cost of a hotel room in Cuba at $75,000. In this latter work he has clarified that “the cost of a hotel from the Cuban Corporation’s point of view is a fictitious figure that comprises: (1) the labor and materials originating in Cuba, valued in dollars at standard world prices; and (2) the imported materials and equipment, valued at actual dollar cost. This total cost is used to calculate the amortization at the time of calculating profits shared by the Foreign Operator and the Cuban Corporation.” Crespo, “Comments on ‘The Tourism Industry in the Caribbean After Castro’ by Padilla,” Cuba in Transition—Volume 13 (Washington: Association for the Study of the Cuban Economy, 2003), p. 100. 16. Recent examples include Kathleen Newland and Carylanna Taylor, Heritage Tourism and Nostalgia Trade: A Diaspora Niche in the Development Landscape (Washington, D.C.: Migration Policy Institute, 2010); and Kathleen Newland, Diaspora Tourism (Washington, D.C.: Migration Policy Institute, 2011). 17. For a broad treatment of tourist market segmentation see World Tourism Organization and European Travel Commission, Handbook on Tourism Market Segmentation: Maximizing Marketing Effectiveness (Madrid, 2007). 19. Paul Williams, “Segmenting the tourist market,” 2008, www.insights.org.uk. 23. The webpage of Cuba’s Buró de Convenciones, http://www.cubameeting.travel/, lists convention venues throughout the island. 25. Recall that tourism facilities were off limits to Cuban citizens under the government’s tourism “apartheid” policy. The relaxation of this policy in March 2008 now permits Cuban citizens to patronize tourism hotels provided they pay for services in convertible currency. As very few Cuban citizens are able to afford to pay for tourism hotels in convertible currency, the fact still remains that the average Cuban citizen has not been able to enjoy the services offered by tourism hotels and an invitation by a relative or friend would be a novel experience. 26. Sergio Díaz-Briquets, “Medicare: A Potential Income-Generating Activity for Cuba in the Future,” Cuba in Transition—Volume 11 (Washington: Association for the Study of the Cuban Economy, 2001), pp. 185–194. 27. There exist already some links between Cuban and foreign cities, mostly in the United States. For example, under the aegis of U.S. non-governmental organization Sister Cities International (http://www.sister-cities.org/), there are already sister city relationships between Caibarién and Bloomington, IL; Camagüey and Madison, WI; Cienfuegos and Cambridge, MA and Cienfuegos and Tacoma, WA; La Habana and Mobile, AL; Holguín and Santa Fe, NM; Remedios and Bloomington, IL; Santa Clara and Bloomington, IL; Santiago de Cuba and Oakland, CA; and Yateras and Boulder, CO. According to the Wikipedia entry on sister cities, the following Cuban cities also a sister city in the United States: Banes and Las Vegas, NM; Cárdenas and Philadelphia, PA; Matanzas and Pittsburgh, PA, and Regla and Richmond, CA. Finally, the latter source also reports sister relationship between Cienfuegos and Kingston, Canada; Santa Clara and Oviedo, Spain; and La Habana and the following cities: Glasgow, Scotland, United Kingdom; Isfahan, Iran; Caracas, Venezuela, and Cusco, Peru.